University of Groningen PhD student Siddhartha Omar has analyzed the noise in spin transport in graphene. He used a theoretical model based on a circuit that he fed with experimental data. He concludes that impurities in graphene are the main hindrance to spin transport. His findings, which were published in the journal Physical Reviews B, pave the way to improving spin transport. This is necessary for building a transistor based on the principle. Spintronics is an attractive alternative to realizing low-power electronic devices. It is based not on a charge current but on a current of electron spins. 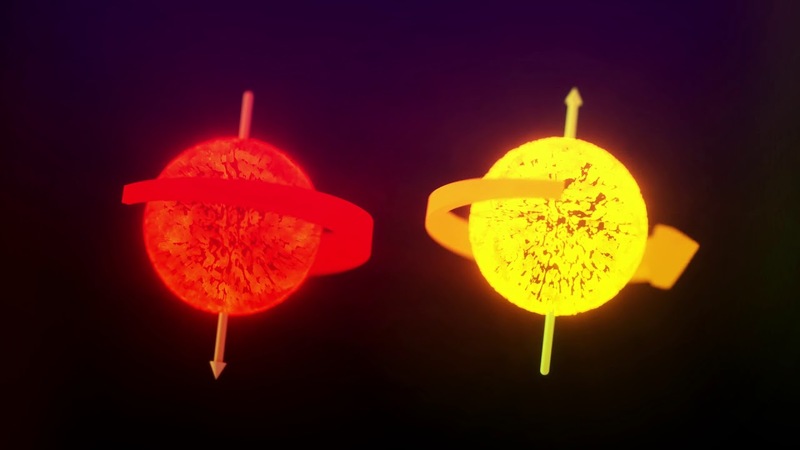 The spin is a quantum mechanical property of electrons, which can best be imagined as small spheres spinning around their own axis, causing them to behave like small compass needles. This spin can assume two values: ‘up’ or ‘down’, which makes it suitable, in principle, for storing or transporting information. Graphene, the two-dimensional form of carbon, is an excellent conductor of spins. But it isn’t living up to theoretical predictions, says Omar. He wanted to find out why, so he used a theoretical model to analyze the noise in spin signals. ‘We were the first to measure this noise, earlier this year. I wanted to know what causes it.’ The noise, which could be seen as a ‘wobble’ in the axis of the spinning electron, could flip the spin and thereby dissipate the spin signal. One source they are now investigating is ultraclean synthetic graphene, made in the lab rather than harvested from natural graphite. This should increase the spin signal even further. Van Wees’s lab had already found several ways to improve this signal. One recent discovery was that by injecting spins through a double layer of boron nitride, the signal increased a hundredfold. Last modified: 30 January 2018 6.24 p.m.